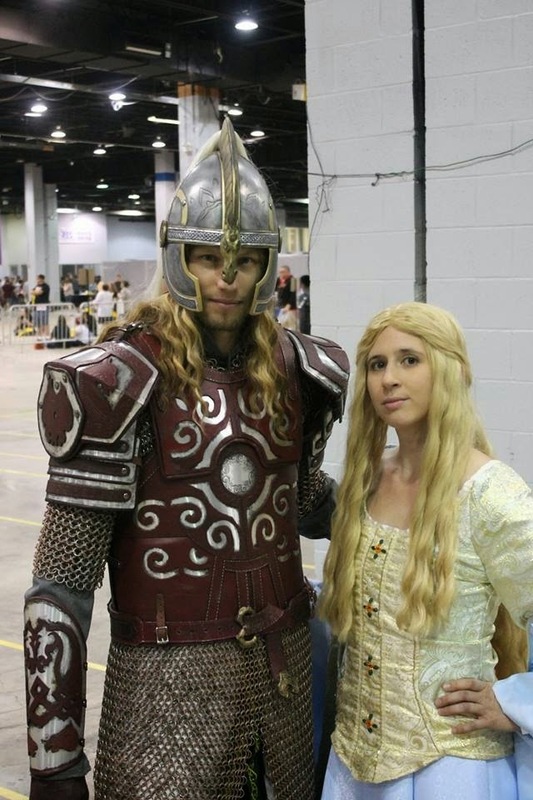 When I originally decided to make Éomer’s armor in 2013, I planned to also have the helmet ready for Dragon Con. It soon became clear that I would have to postpone that dream, so it wasn’t until June of 2014 that I picked it up again. 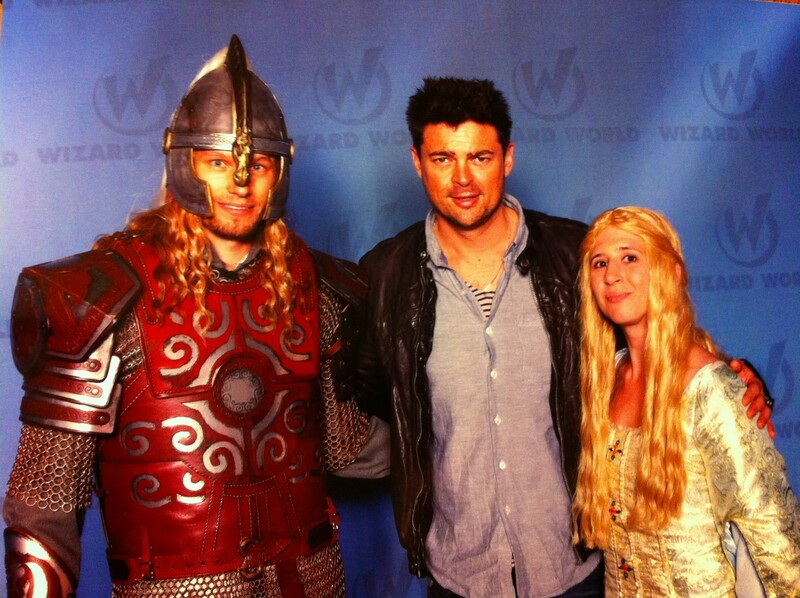 I decided to try and debut it at Wizard World Chicago / Chicago Comic Con (Aug 23rd), and get a photo taken with Karl Urban. My first step was to draw the basic shapes in Illustrator, and scale them to the correct size. I was a bit off in my interpretation of the ear details, but I’ll fix that later. The front and side shapes were straightforward enough, but I had to guess at the shape of the circumference. Once I printed those out at the correct scale, I cut them out of 1/4″ MDF, then slotted and glued them together with wood glue. 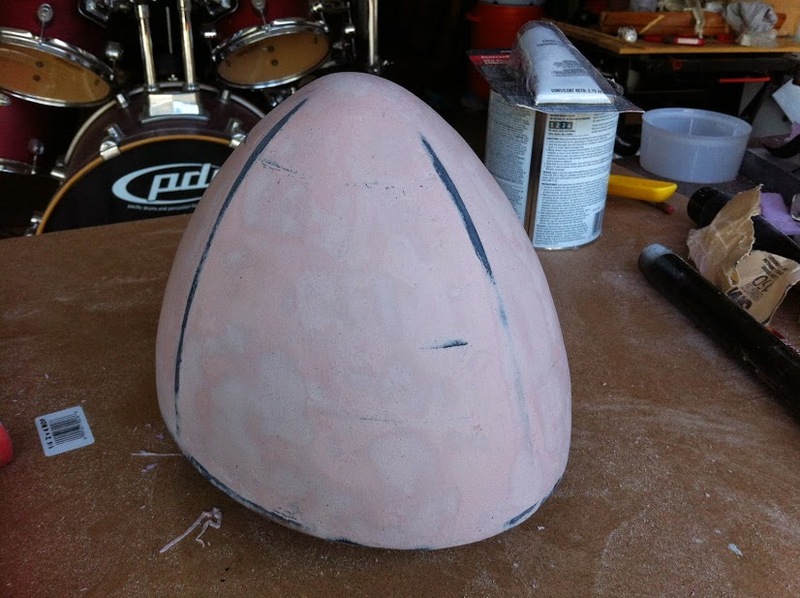 I then filled in the voids with pink insulation foam and carved it to shape with a rasp. At this point I was only worried about the main portion of the helmet – I would tackle the cheek guards separately. 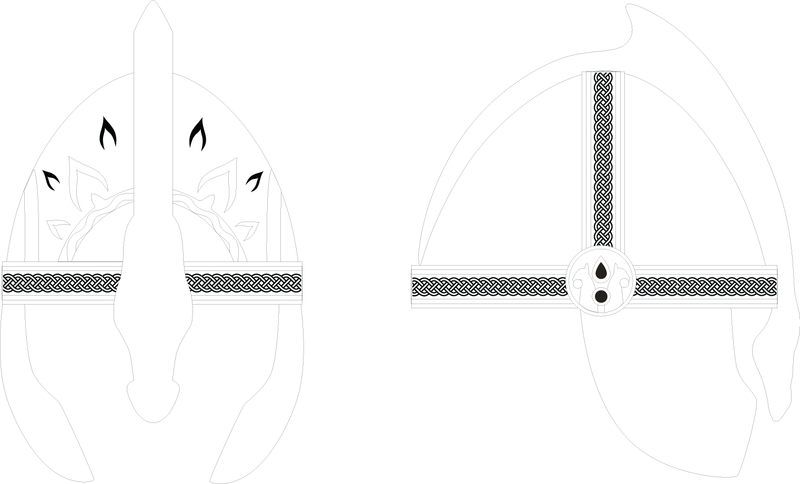 I could have done them concurrently, but I felt a helmet with a flat base like this would be easier to work with. 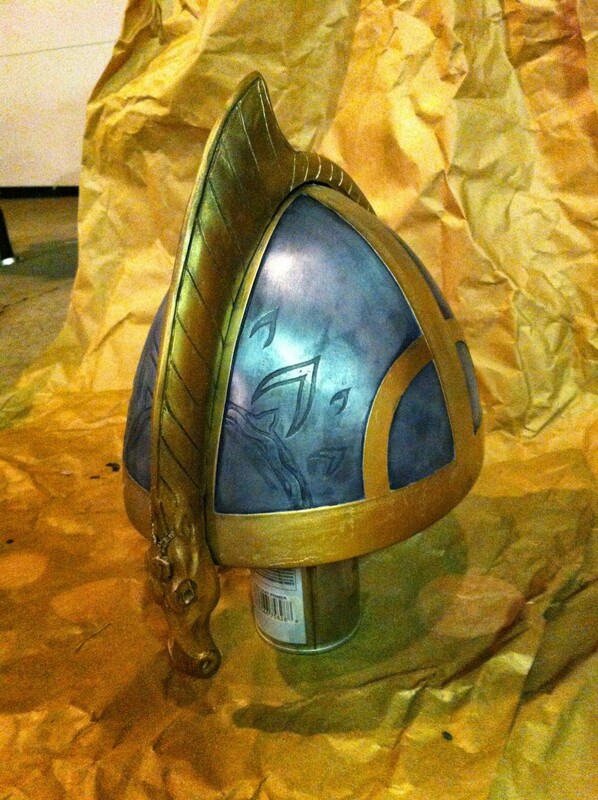 Once the shape was where I wanted it, I covered the entire form with acrylic paint, then a coat of wood glue. 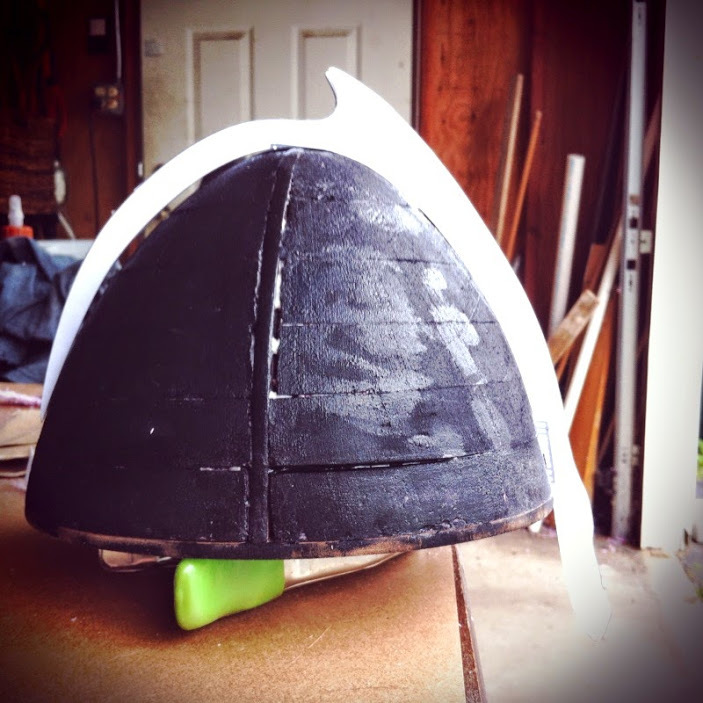 I’d never tried this technique before, but I know that applying Bondo directly to foam is bad news. The foam will degrade and you’ll be left with a mushy mess. 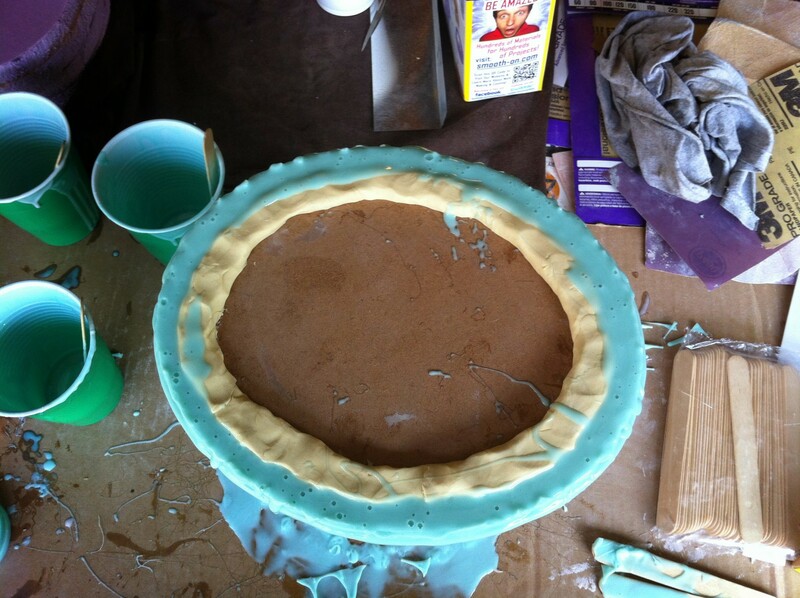 Next came several layers of Bondo, with plenty of sanding in-between. It was most important to get the four “quarters” nice and smooth. 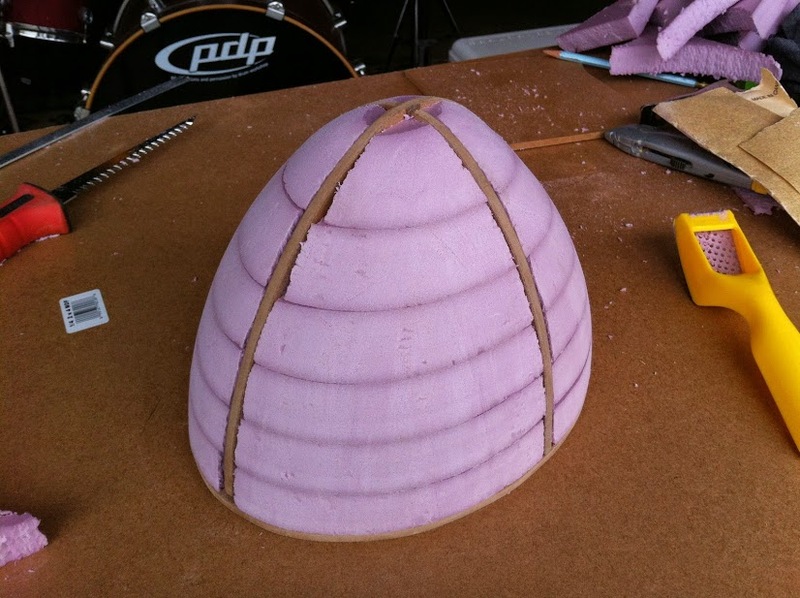 The MDF ended up showing through a bit, but I wasn’t too concerned – I’d eventually be building these areas up to simulate the metal bands on the finished helmet. To do that, I used something I picked up from Blind Squirrel. I first used a compass to trace a line all the way around the helmet at the width of the band. Then I used masking tape to build up an edge at that line – I used 8 layers of tape. 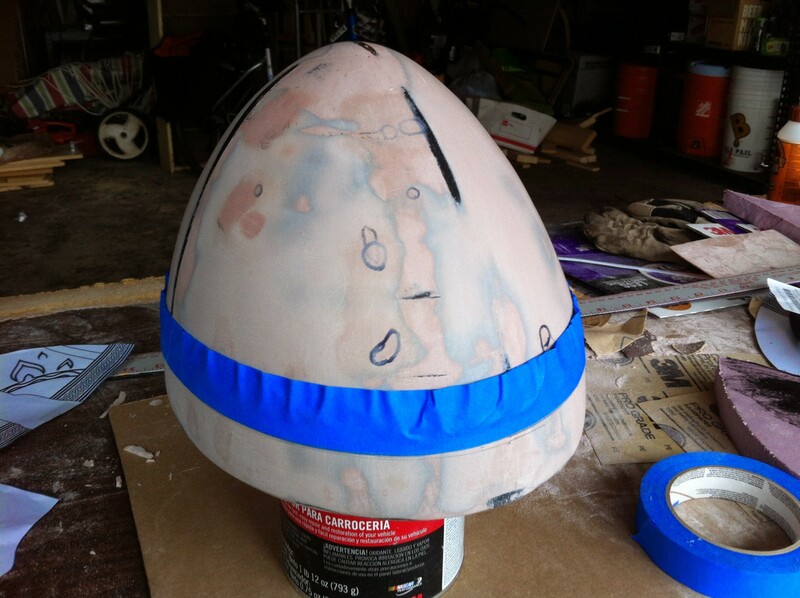 I then applied a thick layer of Bondo right up to the tape, sanded it when it was cured, and removed the tape. I also used masking tape to make the recessed sunburst design on the front. First, I put down some masking tape on my cutting mat, and taped the shapes from my Illustrator print-outs onto the tape. 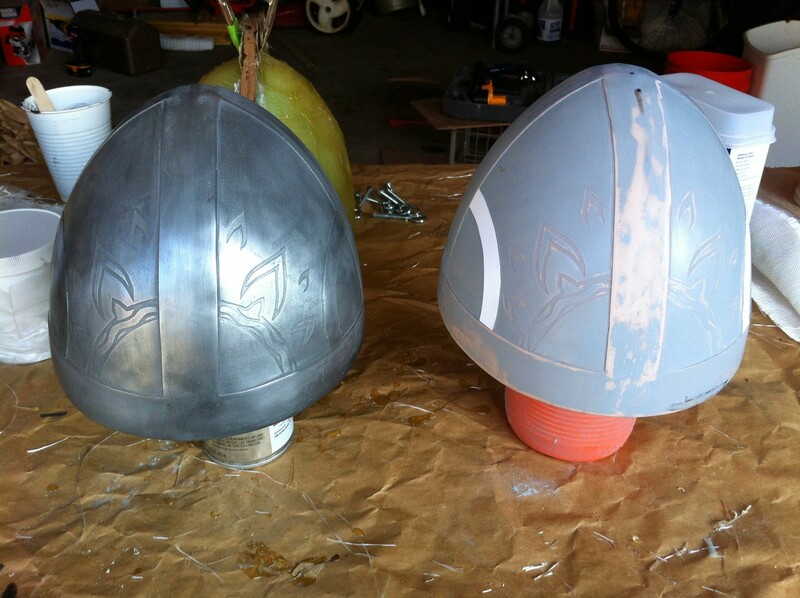 I traced those shapes with an exacto, then peeled them from the cutting mat and stuck them to the helmet by eye. 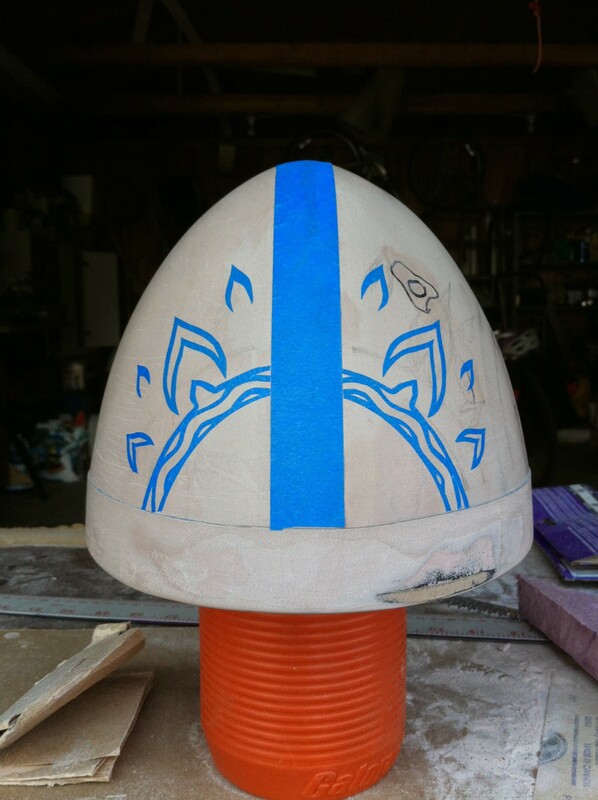 Next, I skimmed a layer of Bondo over the area and sanded it once cured to expose the tape and blend the edges into the rest of the helmet. Finally, I extracted the tape to reveal a nice recessed sunburst. I imagine filling primer would have worked as well as Bondo for this purpose. I repeated this procedure for the two crossing bands, then primed and sanded. 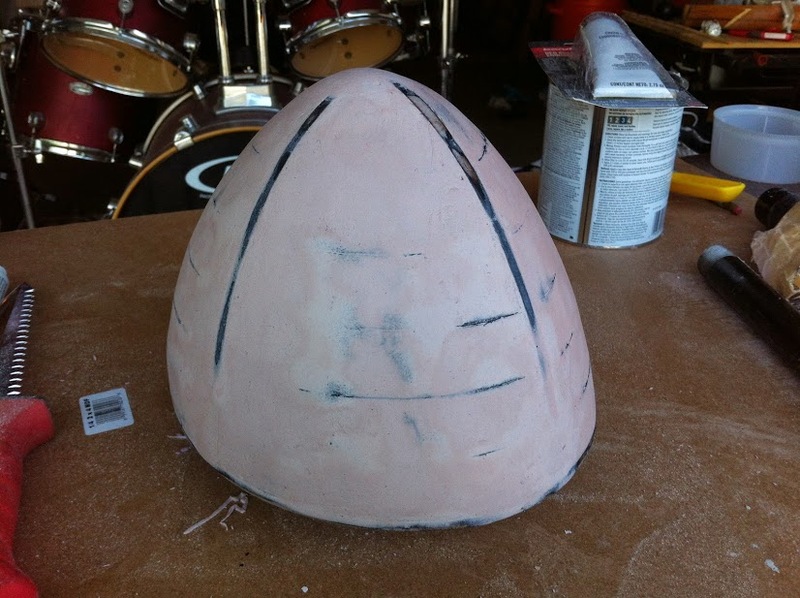 Last thing I did before molding was to add the semi-circle details to the sides. These were just cut from card-stock and glued to the helmet. 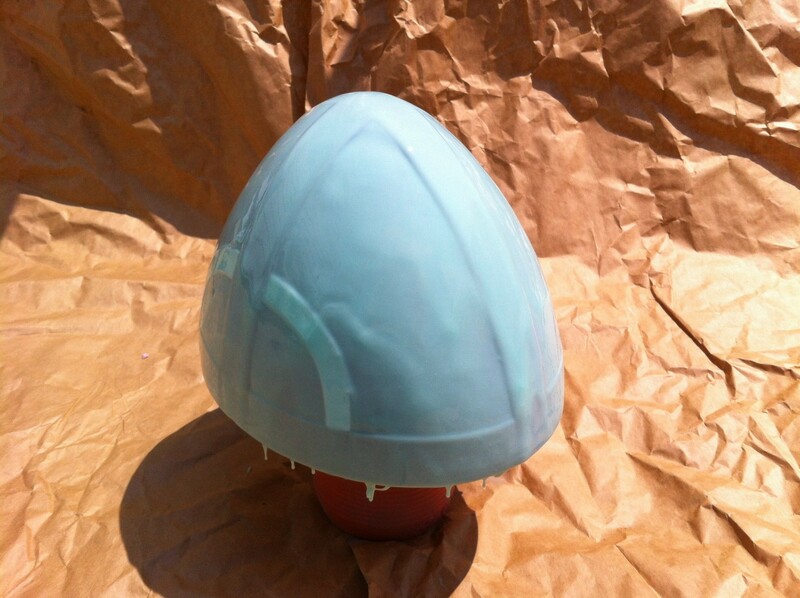 Next it was time for silicone (Smooth-on Mold-max 40). 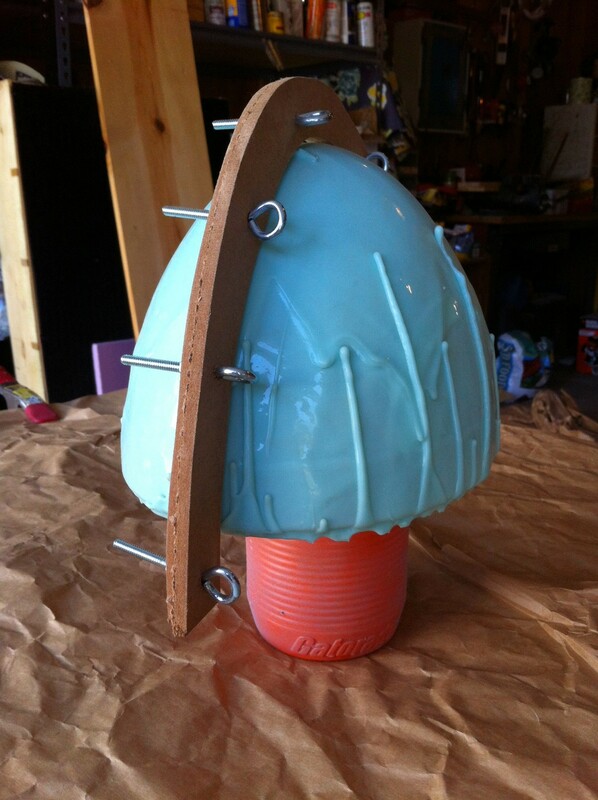 Once the silicone cured (2 coats), I made a mold jacket with MDF and fiberglass. For the cast, I ordered Onyx resin and aluminum powder from Smooth-on. I brushed the entire mold with the dust, as well as mixing it into the resin. 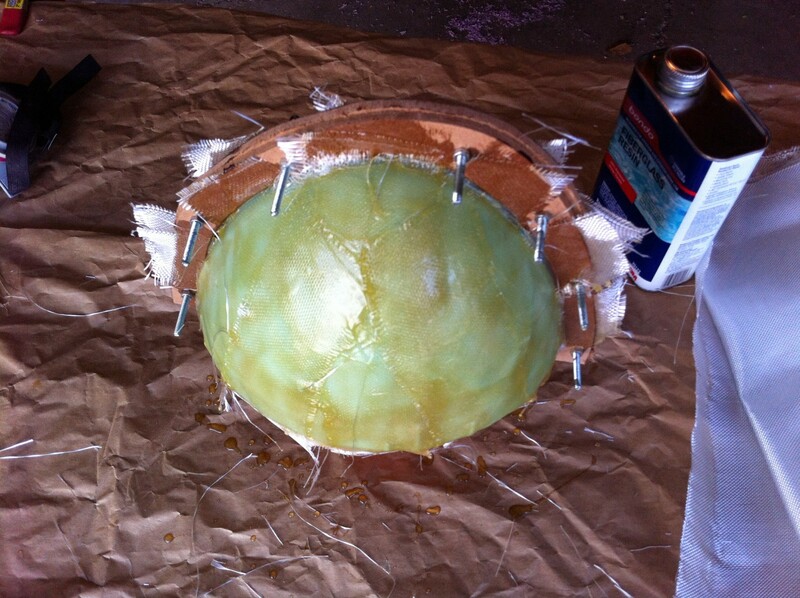 After slush-casting the helmet, I left it in the mold and reinforced it with a couple layers of fiberglass. When I finally pulled it out of the mold and polished it with steel wool, I was overjoyed with the finish. 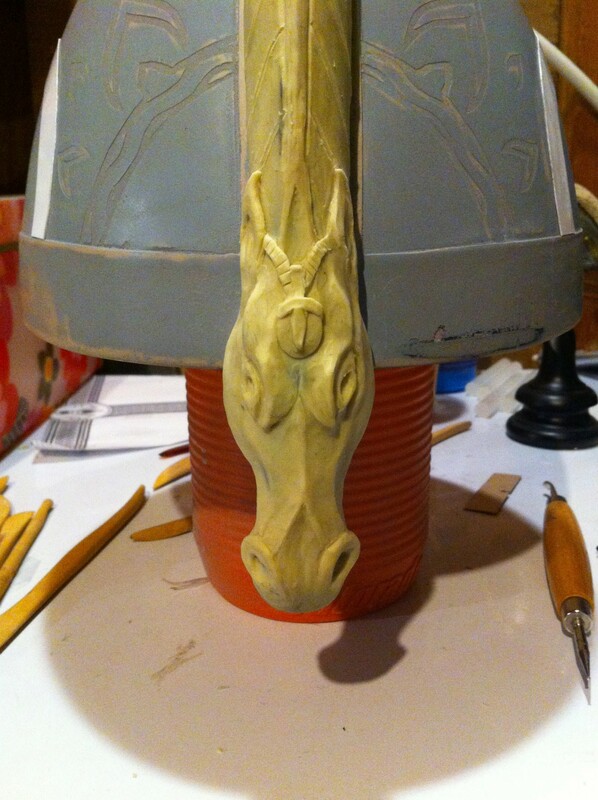 The crest began in a similar manner to the rest of the helmet, but instead of using Bondo, I skinned the foam with sulfer-free clay. I was more comfortable making the organic shapes I needed out of clay, and I knew from experience I could take a mold from this clay with no problems. 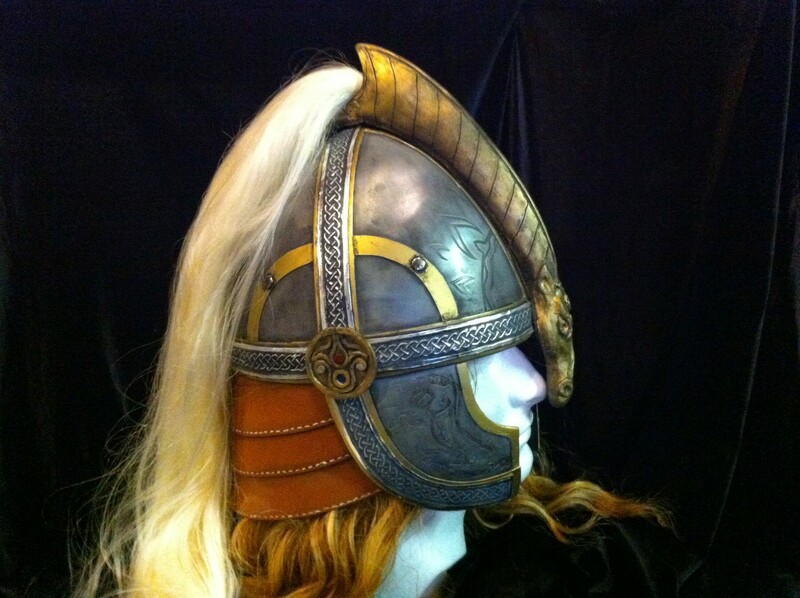 Lucky for me, a few days previously Weta had launched their new website which features spectacular close-ups of this helmet. 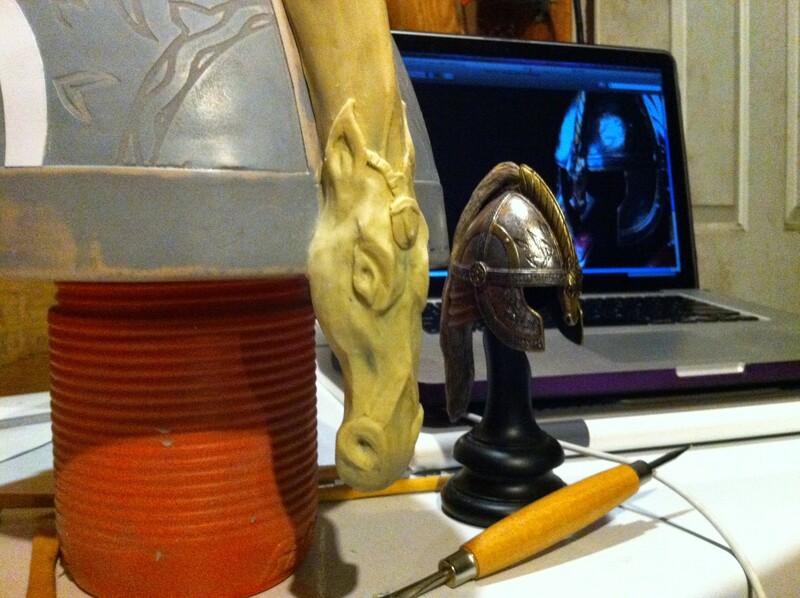 I spent two nights sculpting the horse head before I was satisfied and it was time for silicone. In a perfect world I would have cast this solid, but I was low on resin and I knew I still had to cast the cheek guards, so I slush cast the crest and filled it with Crayola Model Magic (I was totally winging it at this point). This was 8/17, exactly 6 days until I needed it completed. My documentation fell off a little from here on out, and I don’t have any pictures of sculpting the cheeks or ear-disks. 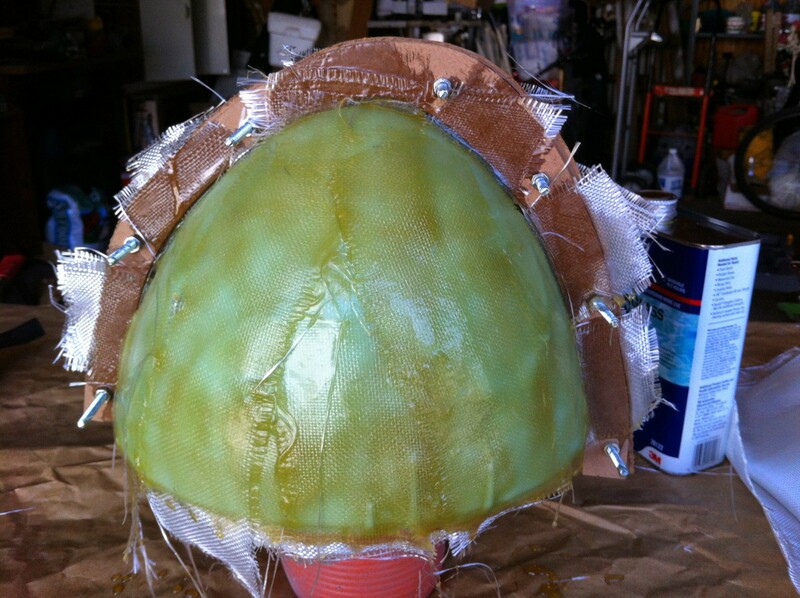 The cheeks were a scaled-down version of the main helmet procedure, including layered contoured pink foam, acrylic, Bondo, masking tape details, more bondo, lots of sanding. The ears were just super-sculpy, baked, sanded, molded, cast and painted. 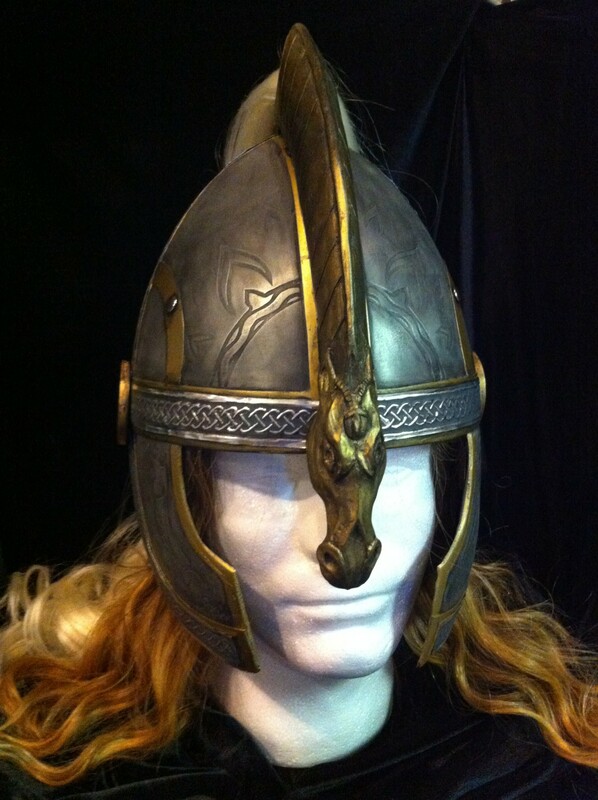 I noticed by following Blind Squirrel‘s Theoden build that one of the details on his helmet is the same as on Éomer’s, so I used his version as a reference for sculpting mine. The last detail that had been keeping me up at night was the knot-work trim that went all the way around the helmet, up the sides and down the cheeks. I considered 3D printing it, but I have no experience doing that and not enough time for trial and error. 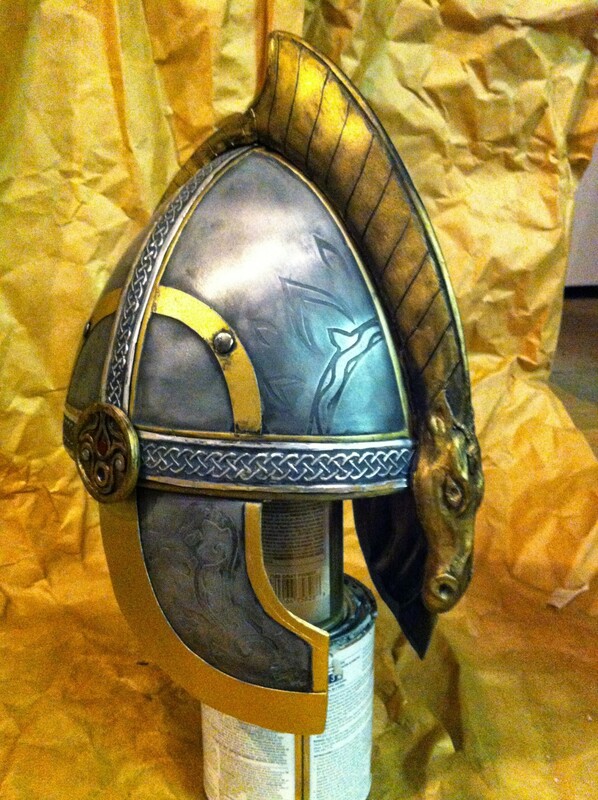 I considered braiding actual metal wire, which I later discovered had been used on another costumer’s version of this helmet. I considered finding fabric trim and somehow making that look like metal. BUT NO! I had an epiphany late one night, and went out to the garage to confirm that it would work. When shopping for something else, I bought this thin roll of aluminum at the craft store, just in case it might come in handy. It turns out it’s specifically for embossing, although I thought I came up with that idea all on my own. Either way, I embossed the knotwork, painted it black, then wiped the paint from the high points to bring out the pattern. 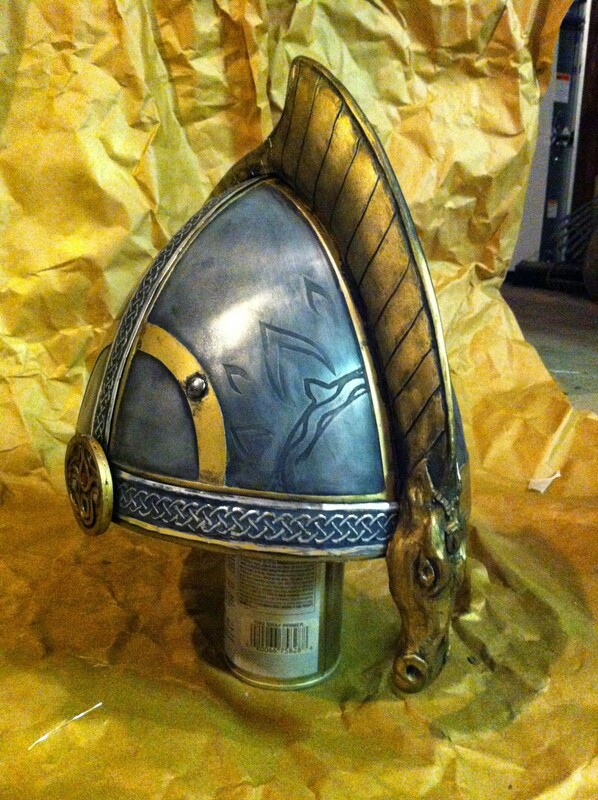 The horse tail on the crest is a synthetic platinum blonde ponytail (the link where I bought it is dead) with a loop of string at the base, that I just threaded into a hole I drilled through the crest, and secured to a hook I screwed into the interior of the helmet. I can easily remove it to upgrade to real horse hair at some point.